Buffalo, NY (May 17, 2016) – On Tuesday May 17, Nothnagle Realtors, a Howard Hanna company, hosts the grand opening celebration of its new Orchard Park office, managed by Lisa Avery and is located at 4264 North Buffalo Road, Suite 300, Orchard Park, New York. From 4:00 p.m. until 7:00 p.m., appetizers and refreshments will be served with an official ribbon cutting scheduled for 4:30 p.m. In attendance will be members of the Hanna family, as well as executives and senior leadership. In 2012, Nothnagle Realtors expanded into the Buffalo market, adding a second location in Orchard Park in 2013. Once Howard Hanna joined forces with Nothnagle Realtors in 2015, the expansion into a larger office was inevitable. 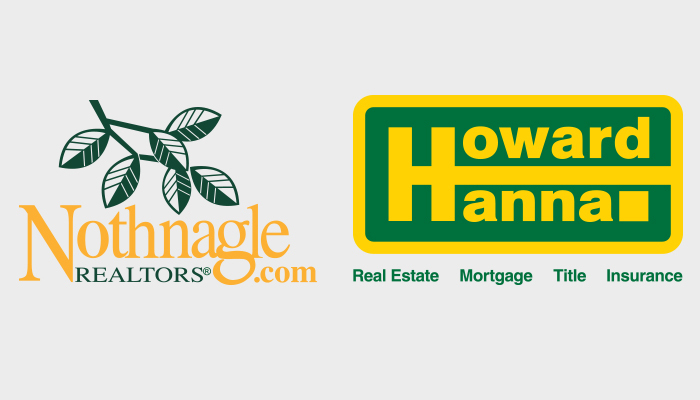 “Howard Hanna and Nothnagle are committed to continuing to expand in Western New York and bringing an enhanced experience to agents and clients alike,” said Armand D’Alfonso, President of Nothnagle Realtors. The combined 2015 performance of the Howard Hanna companies resulted in closed sales of over $12 billion and 66,714 transaction sides. The company ranks 4th among U.S. residential real estate brokers, according to RealTrends Magazine. For more information, please visit www.Nothnagle.com and www.HowardHanna.com.